Thanks to the efforts of Dario Sciola, the two issues of the fanzine Apesfan are available in PDF format. 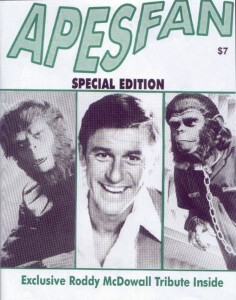 Two issues of Apesfan were published, one each in 1997 and 1999. It was published by Joe Lozowsky and George R. Reis (with Herman Senerchia for issue 2). 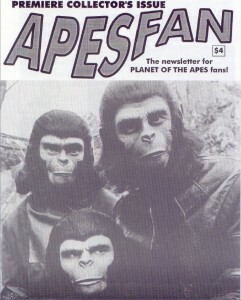 For more information, visit the Apes Wikia site.